What kid growing up didn’t want to be in the spot light and on television for the world to see? From the likes of Tyson Beckford, Denzel Washington, David Beckham, Hill Harper, Idris Elba, and Michael Ealy, Joshua became inspired by these men’s ability to branch out and have such diverse successful career Putting on a nice looking outfit and getting in front of that camera makes me feel so good inside. It’s something about coming up with photo shoot concepts and seeing them come to fruition that gives me such a creative high. I love that feeling and I aspire to one day be a creative director. I also love helping my fellow models in any way possible. Although, modeling is a cut throat industry, I go out of my way to be supportive to other men and women, per we are all simply trying to make it…to land that next gig, and I just want to see us all be at our best and SHINE. However, for me, modeling is not just about being handsome. Being a Chicago native and seeing the type of things that goes on here puts that drive in me to want to do more for myself as well as for others. Being one of the few in my family to graduate college with a B.A. was a great accomplishment. Living in Dallas and attending high school there also helped in grooming myself into the man I am today. The people there are amazing and it is definitely true about the term “Southern Hospitality”. When I first started upon accomplishing my modeling goals, I knew that it would not just be about being a handsome face in nice clothes. I want to make a difference in the lives of endangered teenagers. Maybe it’s because I used to work with those type children throughout my life. Nonetheless, I would like to reach out to much more than those few and educate them about their self-worth and power. I do not yet know exactly how I am going to accomplish this goal as a whole. However, I would like to thank all who have given me the opportunity to begin Modeling and Education. Joshua has modeled for two photographers thus far with plans to work with more in the near future to build a creative and diverse portfolio. He has been in the raving fashion show in Chicago “Beautiful People” with more shows lined up over the course of summer 2012. For more information about Joshua’s modeling, please view his modeling portfolio. 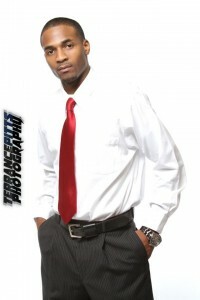 For his model booking information, please contact Joshua at joshuaemodeling@gmail.com.